Today we took a walk. Max was in a carrier strapped to the front of me. He was playing with/sucking on a pacifier. 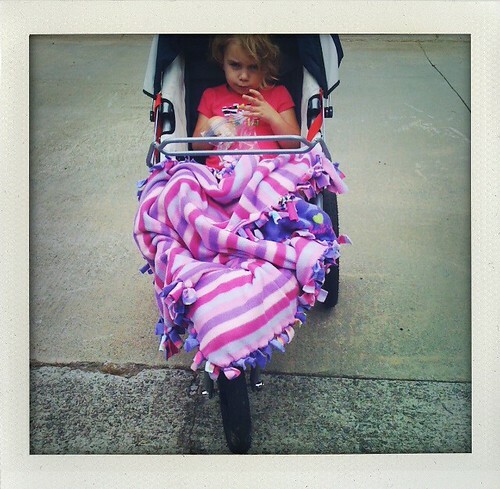 Charlotte was riding in the stroller. Max made a big sucking sound with the pacifier. Charlotte said, "Mommy, I think I just heard two birds kissing!" She had no idea that Max was sucking on the pacifier. It made me smile and laugh. It was a much needed laugh. I love that girl.